They called her the Guardian Angel. Her adventures were legend. She known across the Seven Worlds. She had great power to destroy, yet saved millions. She took lives. She was a killer. Yet many called her savior. She was a small woman who symbolized big ideas. She looked Human, but she wasn't. 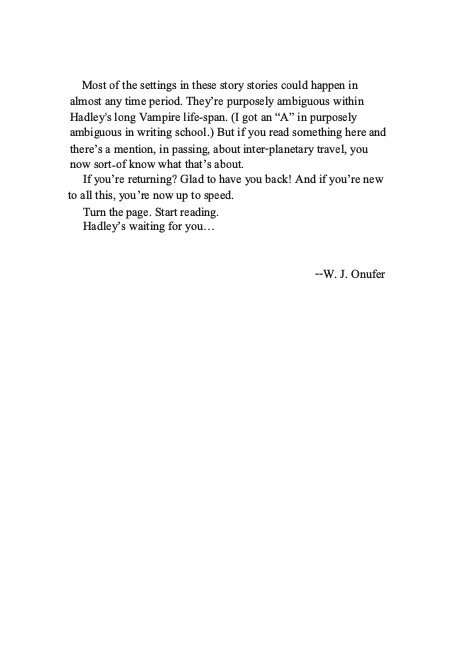 And her name is Hadley Price. These are the further adventures of the Guardian Angel. 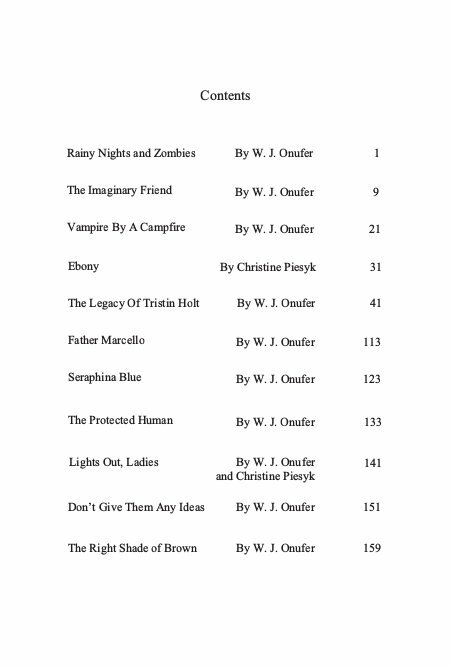 The short stories in the Tales of the Vampire Hadley Price. 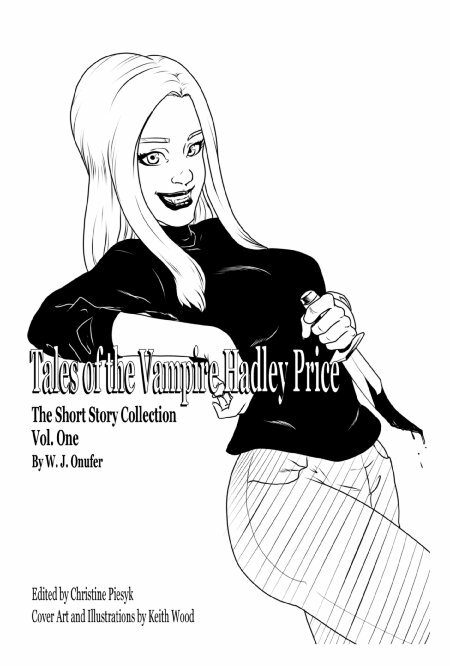 Under the name W. J. Onufer, Warren Onufer is the author of the Tales of the Vampire Hadley Price book series. 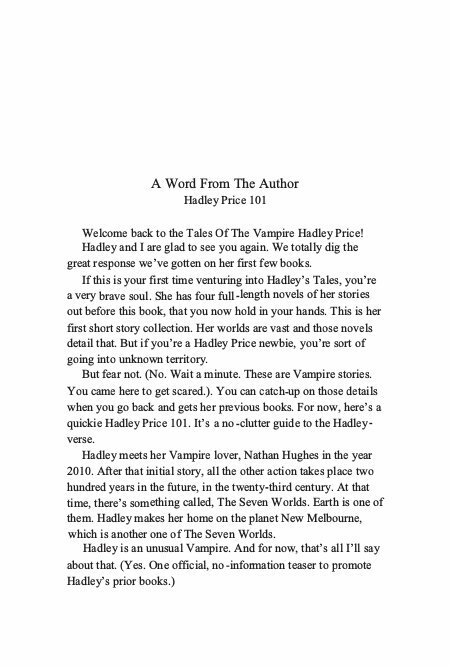 He is the co-host of the Grace and the Author Podcast on Podbean and the audio producer of the Tales of the Vampire Hadley Price Narrated Short Collection on Mixcloud. 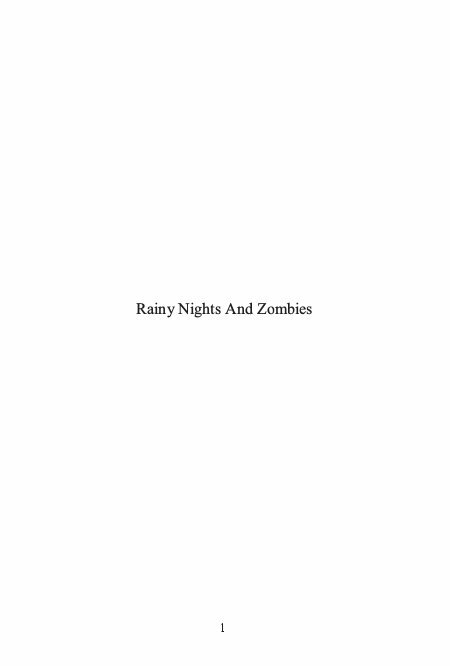 He is the owner and administrator of the Writers and Readers Connect group on MeWe. He has a background in commercial radio and as a movie reviewer for the Entertainment Review Magazine. When he's not writing, he's a knife collector and coin collector and an avid audio drama listener. 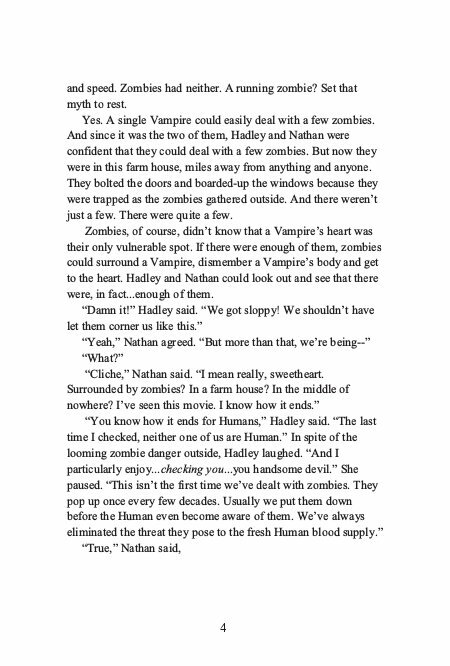 Warren makes his home in Chicopee, Massachusetts, USA, where he lives with his three imaginary Vampire friends, Hadley, Nathan and Svetlana.